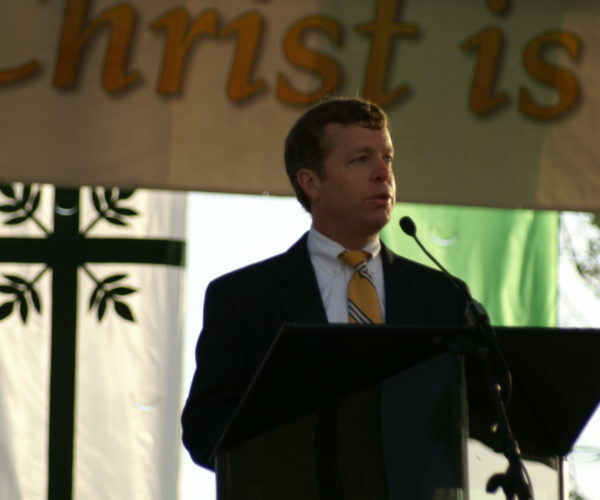 Community Sunrise Service | Hallelujah, Christ is Risen! 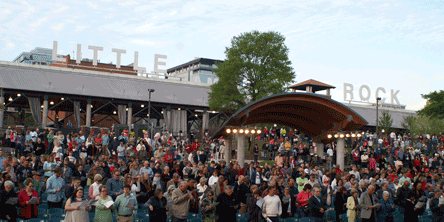 Celebrate Easter with us Sunday, April 21st at 7:00 a.m. at the First Security Amphitheater in downtown Little Rock, Arkansas. 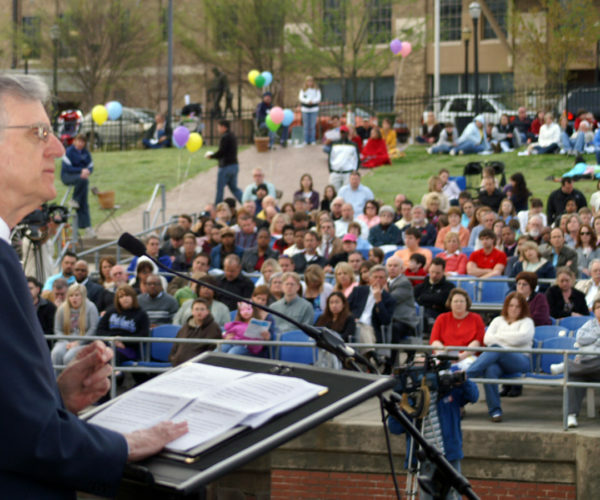 Every year, thousands gather on the banks of the Arkansas River and proclaim the good news that Christ is risen. 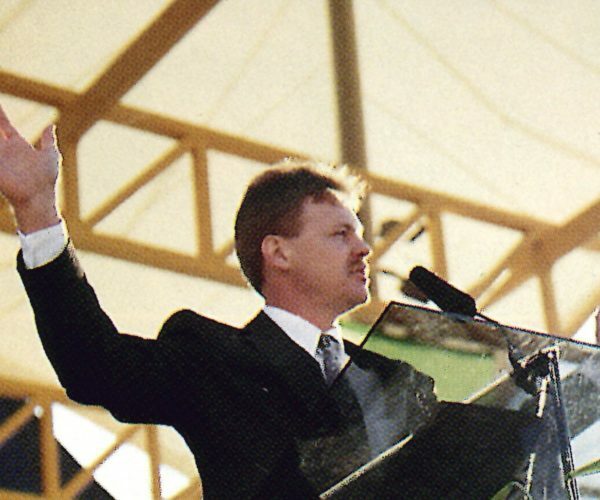 The service will also be broadcast live on KATV Channel 7. 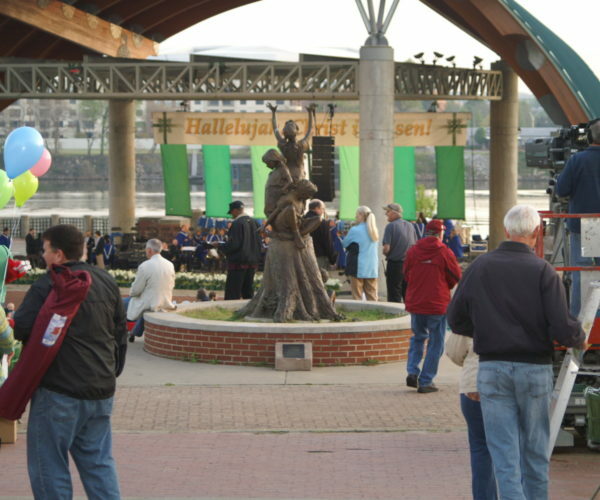 The Annual Community Easter Sunrise Service is an ecumenical worship service sponsored by Pulaski Heights United Methodist Church. 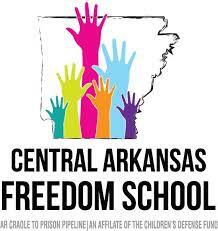 This years’ recipient is Central Arkansas Freedom School, a program of the Children’s Defense Fund that seeks to build strong, literate, empowered children. Summer and after-school reading enrichment helps to curb summer learning loss and close achievement gaps. Freedom Schools boost student motivation, increases self-esteem and connects the needs of children and families to the resources of the community. Freedom School works in partnership with Greater Center Star Baptist Church, Philander-Smith College, Daisy Bates Foundation, the US Department of Agriculture and others. Sylvia Borchert, Lay Representative for the Arkansas United Methodist Conference. 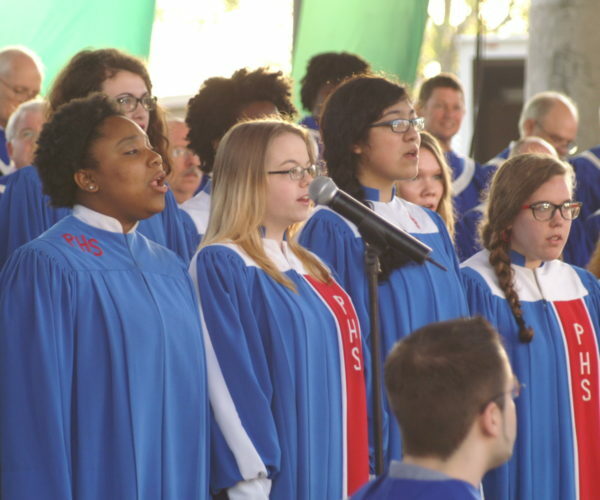 Music will be offered by the combined choirs of Pulaski Heights United Methodist Church Chancel Choir, Arkansas Youth Chorale, Philander Smith College Choir. Special entertainment will be provided by soloist Tania Kelley, Ozark Point Brass and New Creation Dance. 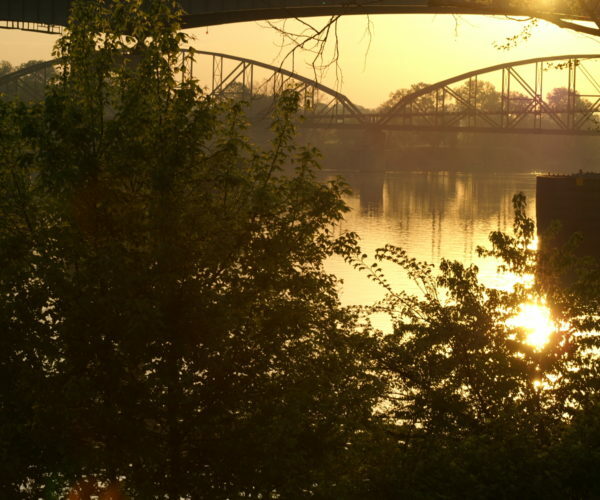 In 1989, Pulaski Heights United Methodist Church utilized the newly built Amphitheater on the banks of the Arkansas River to provide an ecumenical community-wide Easter Sunrise Service. 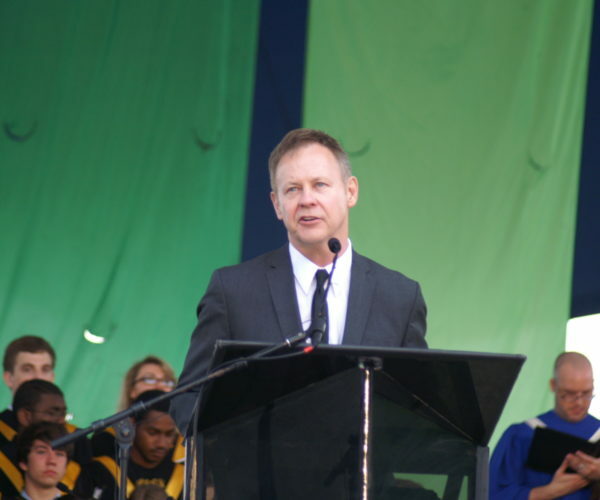 Long time PHUMC member, Swann Kohler, was the founding coordinator of this new service. 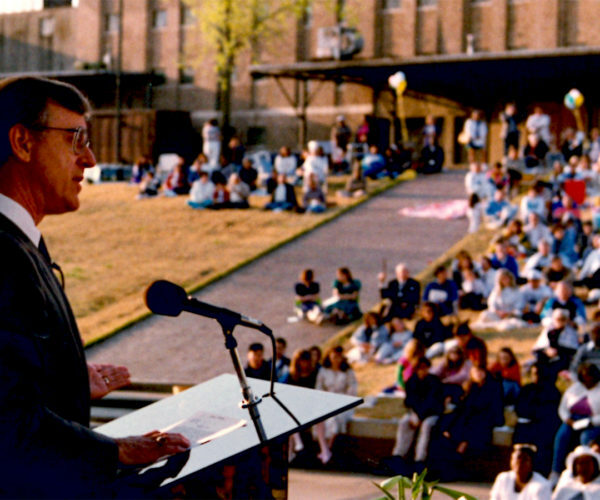 Then Little Rock mayor Buddy Villines, Audrey Crites, Skip Rutherford and the late Tom Williams were the first participants. Beautiful music was offered by the combined choirs of Pulaski Heights UMC and Philander Smith College Choir. 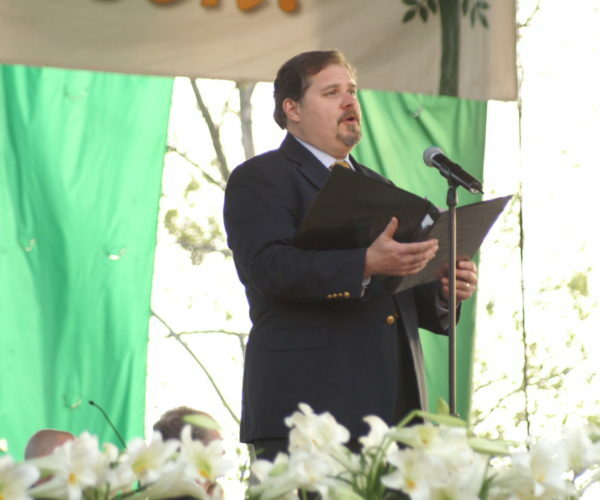 In the last 26 years many members of our community have participated in worship, including a US President, our congressmen and women, Arkansas Governors and other state officials, actors, athletes and TV personalities, students and clergy, dance teams and orchestras, brass ensembles, many soloists and school choirs from our county and city. 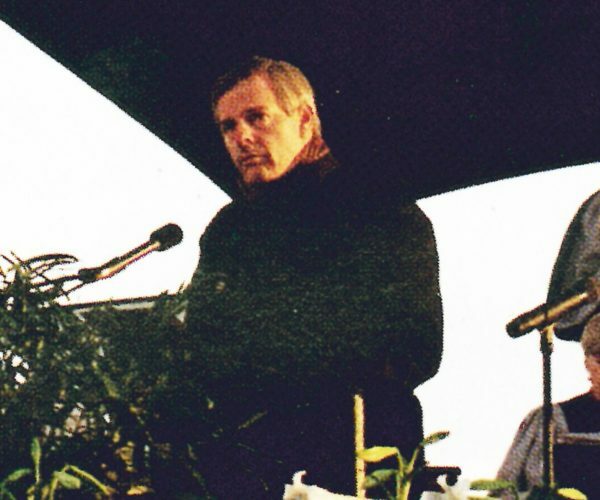 The Gospel has been proclaimed and prayers have been offered. Offerings have been gathered to help local charities do good work in our community and around the state. Over 100 volunteers, plus monetary contributions of so many, make this event possible. 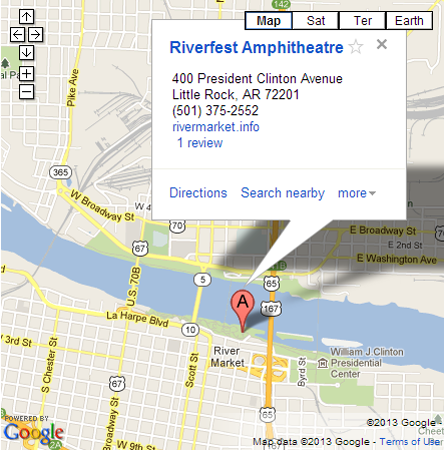 The Annual Community Easter Sunrise Service will be held at Riverfest Amphitheatre located on the Arkansas River in downtown Little Rock.